“The Reading Lessons” is one of the stories of Carole Lanham’s excellent debut collection, “The Whisper Jar”, but it is also the starting point for the upcoming first novel of the author. I’ve seen over the years a couple of short stories that led to longer pieces of fiction, but “The Reading Lessons” is the first in a long time that I await with fervent anticipation. It cannot be otherwise since “The Whisper Jar” was one of the best books I read last year and a collection that revealed a very talented writer. It is true that after reading “The Whisper Jar” my expectations for Carole Lanham’s works are high, but by the looks of her debut collection I have a certain belief that I would not be disappointed. With a first-hand experience on Carole Lanham’s subtle and challenging works I think that “The Reading Lessons” would touch a few very important issues in the author’s uncomfortable but excellent manner. If I am right or wrong or if my expectations are too high remains to be seen when Carole Lanham’s novel will be released by Immortal Ink Publishing on May. 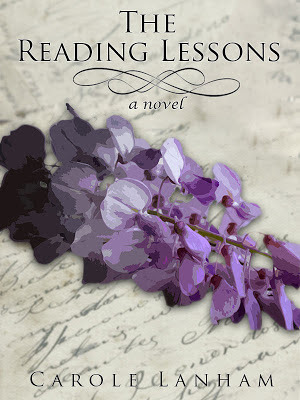 Maybe these are a little besides the point too, since “The Reading Lessons” is now one of my most anticipated releases of 2013.